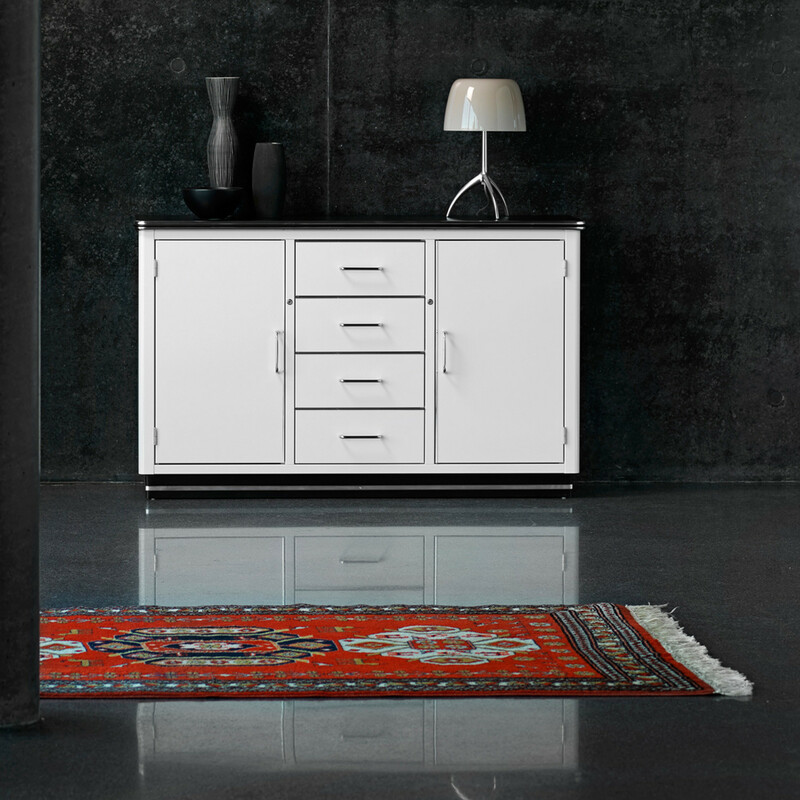 SB 123 / SB 124 Sideboards from the Classic Line furniture range are an assured statement piece which is sure to be a discussion point. Classic Line SB 123 / SB 124 stand on their own merits, providing highlights that characterise both living and working interiors - elegant, with a clear message, functional and solid. 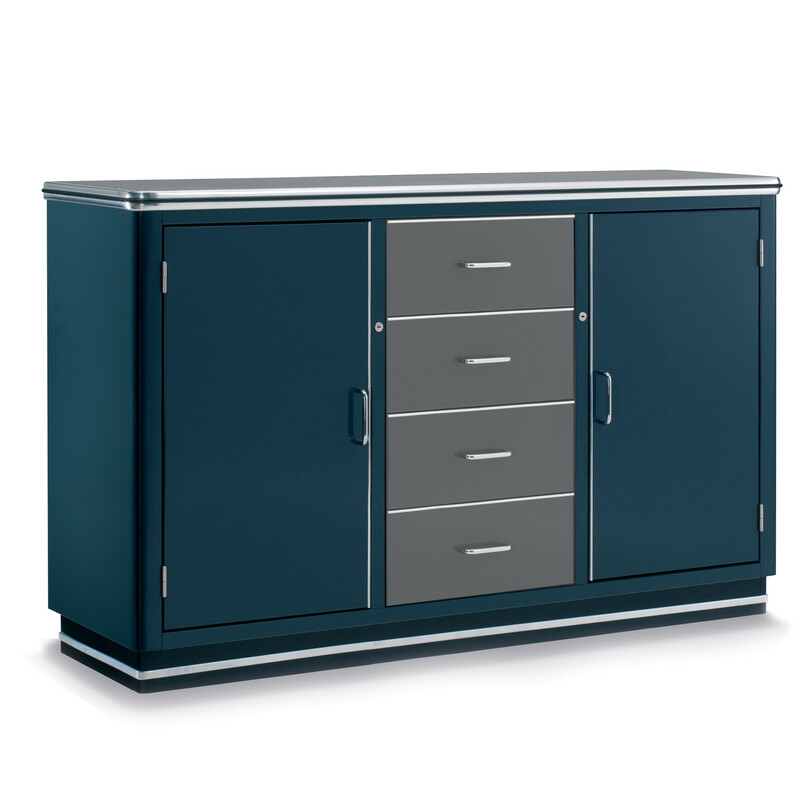 Classic Line Furniture is made out of 1-3 mm strong sheet steel. For the paint, acrylics developed in the automotive industry are utilised. This gives the surface a high gloss, and at the same time makes them hard-wearing and easy to care for. The colour palette, in all RAL tones, allows the furniture to be matched with the widest possible range of spaces. Sideboard SB 123 is equipped with a cover board in black laminate, 3 doors, 2 shelves as well as two cable slits in the backside as standard. Optionally, a drawer set of 4 drawers instead of 1 door can be chosen. 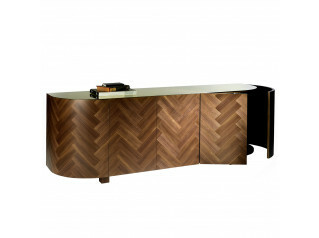 The sideboards are available with lockable doors – and drawers if ordered – or without. View ore furniture from Mueller. 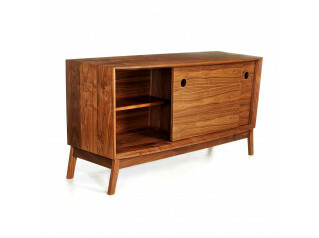 You are requesting a price for the "SB 123 / SB 124 Sideboards"
To create a new project and add "SB 123 / SB 124 Sideboards" to it please click the button below. To add "SB 123 / SB 124 Sideboards" to an existing project please select below.